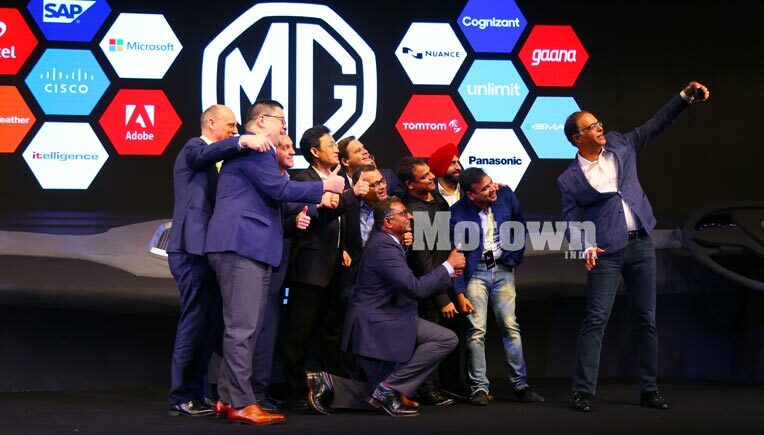 Ahead of the launch of their first product in India, British Automaker MG Motor (Morris Garages) showcased their connected mobility technology platform called iSMART Next Gen. It has been developed in partnership with global technology players including Microsoft, Adobe, Unlimit, SAP, Cisco, Gaana, TomTom and Nuance. 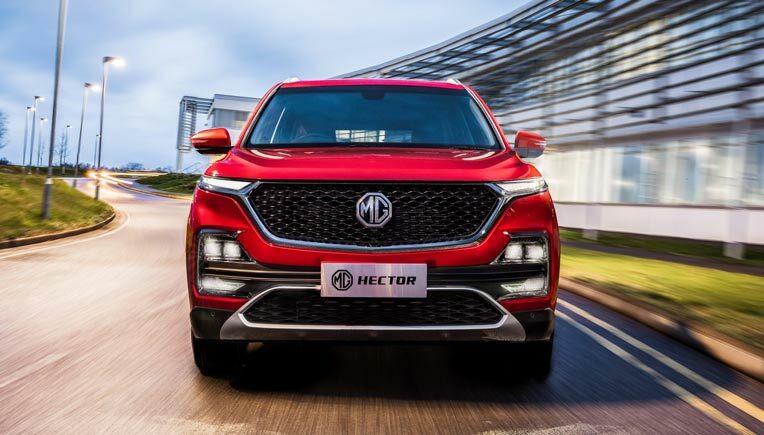 To be available for sales by June this year, MG Hector with iSMART Next Gen will be the first internet car in India that will redefine connected mobility. The brain of the iSMART Next Gen will be housed in a 10.4” Head Unit. The screen is designed with a vertical interface that allows the driver to control the entire car system with either touch or voice command. The Head Unit is built to withstand extreme climatic conditions of India and comes pre-loaded with entertainment content. MG Hector iSMART Next Gen comes with an industry first embedded M2M SIM that ensures that the car remains connected and is future ready with 5G support. The customized solution has been developed by Unlimit in partnership with Cisco and Airtel who have collaborated with their Jasper platform and telecommunication network respectively. The connected mobility solution on the MG Hector is. The company will be the first in India to bring Over The Air (OTA) updates to their cars. Customers will be able to download the software updates immediately or schedule them for later, as in smartphones. The OTA feature would be standard in all MG cars enabled with iSMART Next Gen for connected mobility, starting with MG Hector SUV. The Voice Assist, developed by Nuance for MG India, has been specifically designed for Indian accent learning. As a result of built-in Artificial Intelligence (AI) and Machine Learning (ML) algorithms, the system will learn and get better every day with usage. Activated with ‘Hello MG’, the voice assist allows over 100 commands, including opening and closing of windows and sunroof, ac control, navigation etc. and works even under poor connectivity. Other than this, the Hector will also come loaded with TomTom’s real-time navigation application,Gaana app with Premium Account and AccuWeather. 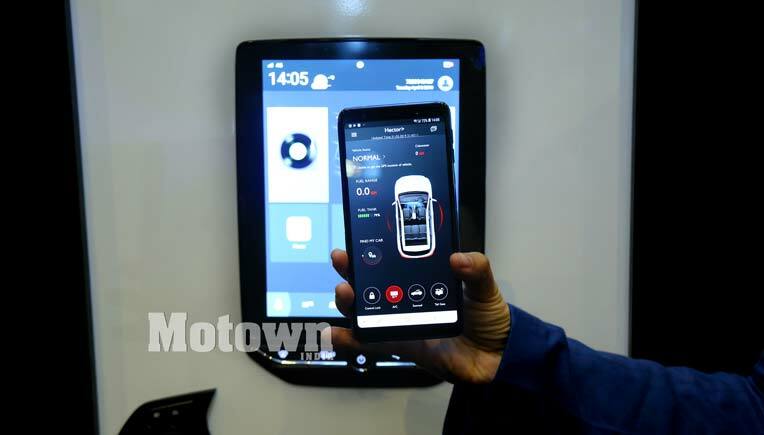 The company has also developed the MG iSMART App that scansthe car each time the App is opened, and information includes location of car, tyre pressure, or if the doors are locked or not. Owner can use the remote app to directly lock or unlock doors, turn on ignition and switch on the air-conditioner. This is very useful in extreme weather conditions of India. It would also allow owners to schedule a service and keep track of service history. “The integration of internet with cars opens up a gamut of features that can ensure a seamless and updated ownership experience for MG customers in India. With an embedded SIM card and OTA, the MG Hector promises to do a lot more over time with constantly-expanding capabilities, to create a seamless driving experience, throughout the life of the car,” said Rajeev Chaba, President & Managing Director, MG Motor India. “Furthermore, with the advent of 5G connectivity in India, MG cars will have the potential to add new, breakthrough features to further enrich the car driving experience,” Chaba added. MG car owners can locate their cars remotely and geo fence it, so the car cannot be taken out of a predefined zone, thus enhancing the safety of the passengers. Adobe and Cognizant have partnered MG to develop the first ever Adobe Experience Cloud to make the customer journey a delight for MG customers. Likewise, SAP with iTelligence has built one of its kind Dealer Management System - ‘Magnet’, and connected apps. This system would host all information from company, dealers, service centres and customers at one place. This would make sure the customer can seamlessly be recognised and offered services at pre-sales, sales and post sales phases.